LAMB: You caught us all off guard yesterday when you discovered you had a wobbly tooth. An hour or two later it fell out. I wasn't expecting it to fall out so quickly. It was early evening and Daddy wasn't home so I couldn't just surreptitiously duck out and get a little surprise to pop under your pillow. When I asked you what you thought the tooth fairy was going to leave you I was secretly hoping that you would say something like "a chocolate" or "a tea bag" (because we have a plentiful supply of both). But you answered "a unicorn". The look of utter despair on my face quickly turned to relief. I remembered that there was indeed a toy unicorn hidden on top of the cupboard. A week or two prior you had asked for a unicorn as a gift for Christmas. Unfortunately you meant a real unicorn. I told you that it might be difficult for Santa to find a real unicorn but you were unconvinced. He is Santa after all. If anyone could do it, surely Santa could. So I talked you through the logistics of owning a unicorn. Where would we keep it? What would we feed it? What if he gets lonely all by himself? 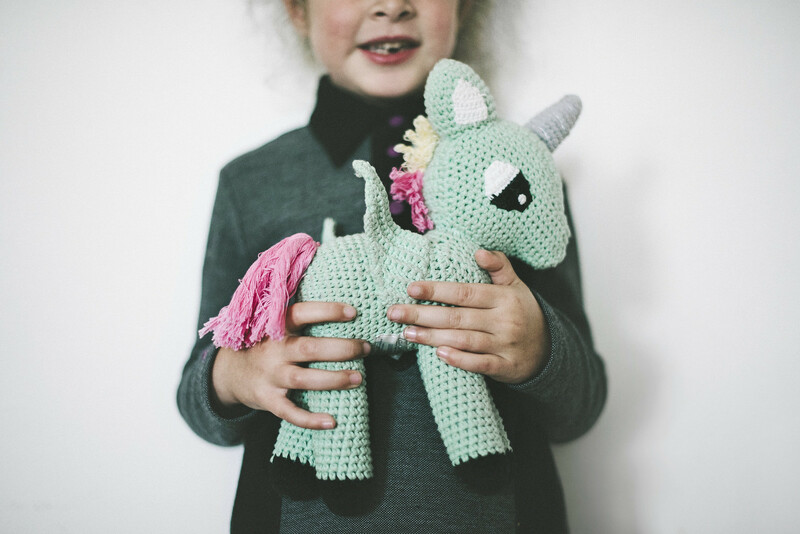 You considered these things for a moment and then conceded: "Well... maybe a toy unicorn? A fluffy one". As fate would have it the very next day I passed by a shop and spotted just such a stuffed toy. She was cute and cuddly and most importantly she had a bright pink mane and tail. It was perfect. It was still a few months until Christmas but I was willing to try this "being organized" thing people keep going on about. And wouldn't you know it, it paid off. If only. I'd have a room full of unicorns. What a priceless picture and story. Luckily our tooth fairy just leaves coins, but on her most recent visit our youngest daughter sprang out from under the covers at 1am...waiting in ambush? We are all still recovering.